« FENN STREET GA…OH, ALREADY USED THAT. OK, WHAT ABOUT…PLEASE SIR? 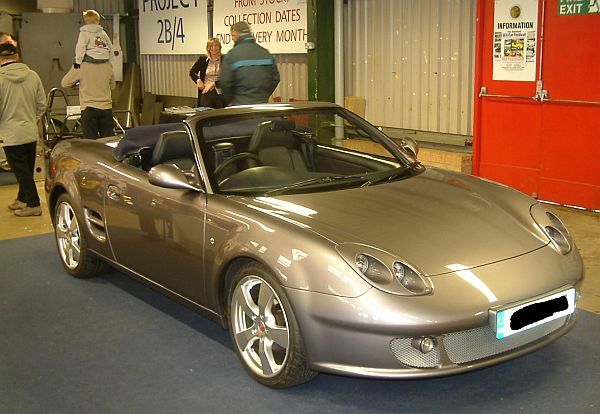 News from Steve ‘Sport’ Griffiths and Neil Sysun, who together make-up Veranti Motor Company is that they are essentially in a position to offer kits of the John Barlow-designed MR2-based body conversion. More information from www.veranti.co.uk or 01905 620 640 ENDS. Print article This entry was posted by admin on August 16, 2012 at 2:50 pm, and is filed under News. Follow any responses to this post through RSS 2.0. Both comments and pings are currently closed.